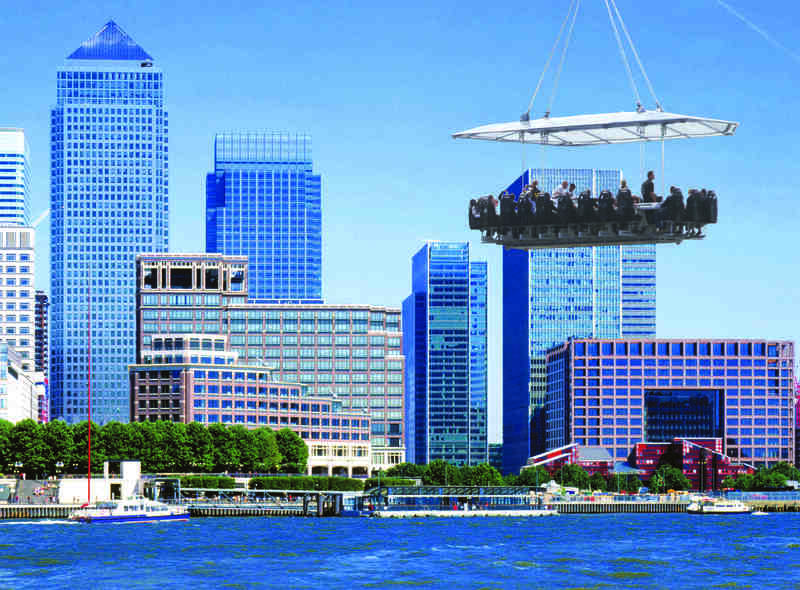 Launching for the first time this summer, London in the Sky is an open-air pop-up restaurant suspended 100 feet from the ground. Open to the public for the first time in England, the restaurant will welcome five Chefs from London’s best Michelin-starred restaurants to recreate their signature menus and dining experiences whilst cooking in the air. The table seats 22 guests, with food prepared and served in front of diners by the Chef and team in the centre of the table. 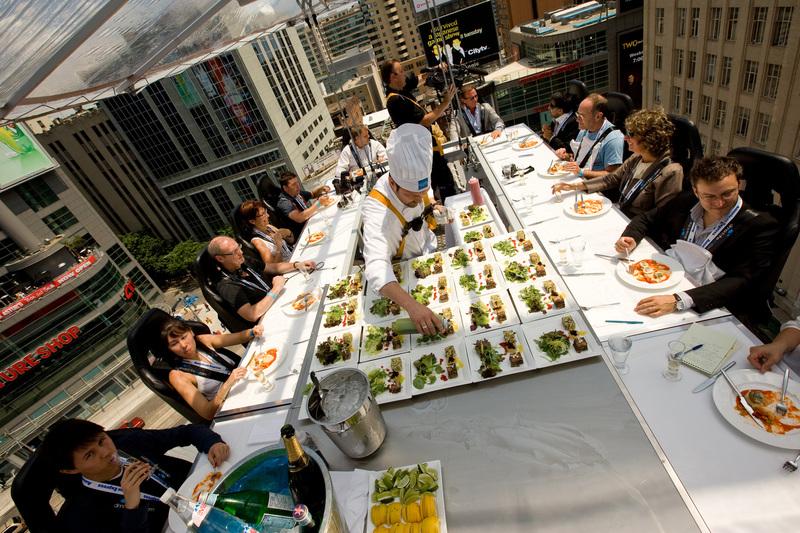 Guests are securely fastened in before the platform raises 100 feet from the ground and their gourmet experience begins. London in the Sky will offer diners the opportunity to eat and drink the best that London has to offer, with breakfasts served by Anna Hansen’s The Modern Pantry, and lunch and dinner services from some of the capital’s best Michelin-starred Chefs and restaurants: Benares’ Atul Kochhar; Club Gasgon’s Pascal Aussignac; Angler’s Tony Fleming; L’Atelier de Joel Robuchon’s Xavier Boyer; and Alyn Williams from Alyn Williams at The Westbury. Each of these restaurants will serve guests a Champagne Taittinger reception followed by a selection of signature dishes (three courses at lunch, five at dinner) paired with hand chosen Villa Maria wines to their guests for two consecutive days during the ten-day festival. Guests will be able to dine in the sky for breakfast, lunch and dinner with Champagne Taittinger and canapé flights in the afternoon and evening for a dramatic night-time city back-drop. Atul Kochhar, of Benares says of the event “London is one of the greatest cities in the world and we are now being recognised as a leading culinary hub as well. London in the Sky marries our famous skyline with our highly respected food and it was an opportunity we absolutely couldn’t pass up. We can’t wait to get cooking up there”. 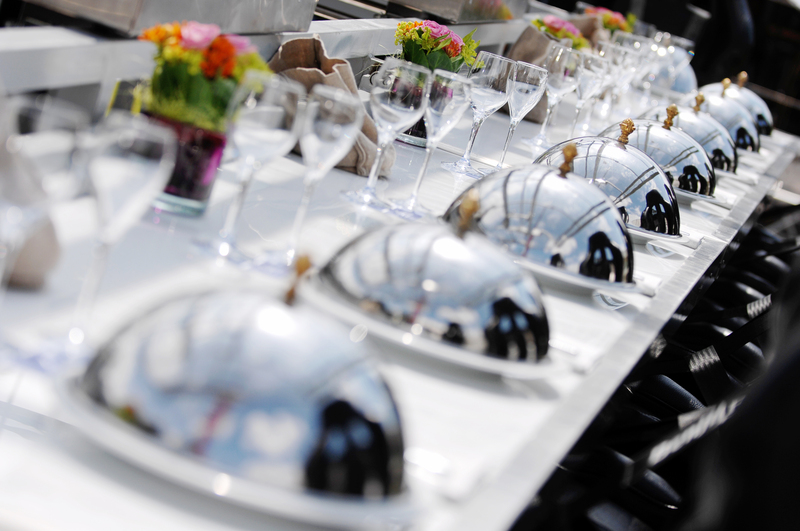 Dale Agar of Events in the Sky says of the event “Having enjoyed a successful run on the continent we are very excited to offer Londoners the opportunity to enjoy their fantastic restaurant scene up amongst some of the most iconic skyscrapers. This event is going to be extraordinary”.